Battlefield: Bad Company 2 "Onslaught Mode" will be arriving worldwide on the Xbox LIVE Marketplace June 22, 2010 for 800 MS Points. Onslaught Mode will let you experience online co-op with up to four players teaming up. The new game mode will offer newcomers an introduction to the game's online vehicle warfare experience while the elite squads will enjoy additional challenges to accomplish new achievements and new opportunities to reach the top of the leaderboards. 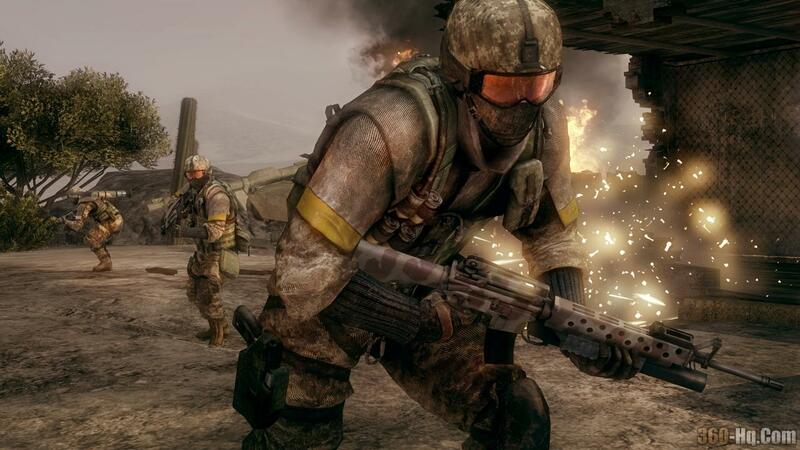 Also this month, Battlefield: Bad Company 2 Kit Shortcuts will be available on Xbox 360 and PlayStation 3 for those players who don't have time to spend levelling up to unlock all the kit specific items but still want to be competitive with those who have unlocked everything. The Kit Shortcuts will give you the unlocks available for kit each kit while still allowing you to progress through the ranking system as normal and will be available for 560 MS Points/$6.99 individually or if you want the whole bundle of kit shortcuts including the 7 available vehicle unlocks, 1600 MS Points on Xbox Live and $19.99/17.99€. The Kit Shortcuts will be available on Xbox Live Worldwide and European PlayStation Network from 16th June with the North American PlayStation Network having access to the shortcuts from 22nd June.